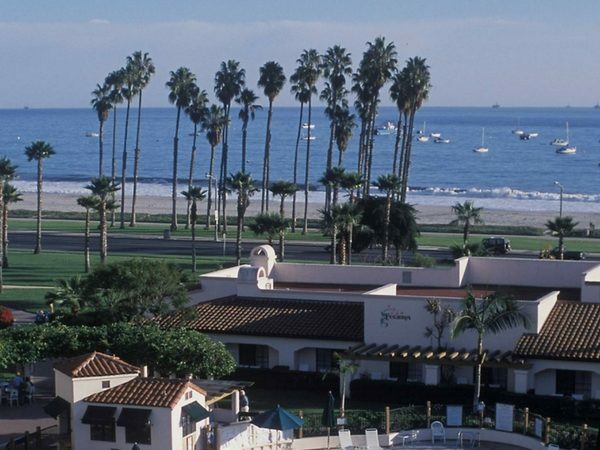 Among the few hotels located just steps from a beach in Santa Barbara, California, the Fess Parker Resort is a family-friendly and dog-friendly resort with many amenities. The laid-back luxury resort is also walking distance to popular Stearns Wharf and downtown’s restaurants and shops. 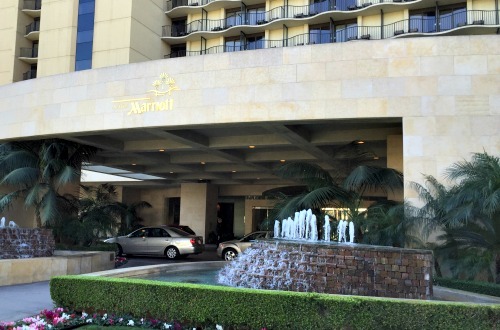 Los Angeles TravelingMom has the scoop with her hotel review of the Fess Parker Resort. While real estate is high in posh Santa Barbara, the well-manicured city offers visitors an array of lodging and dining options for all budgets. 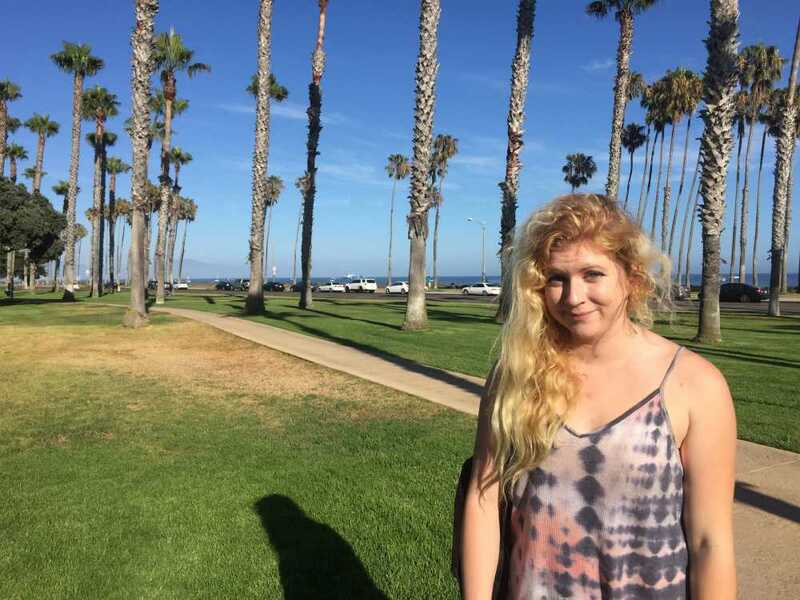 The centrally-located Fess Parker Resort (named after the Daniel Boone actor) is a good choice for families who want to be walking distance to a beach and downtown. For my family’s weekend visit to Santa Barbara, we chose the Fess Parker Resort for its beach location and because we could bring along our 13-year-old Lab, Trooper. 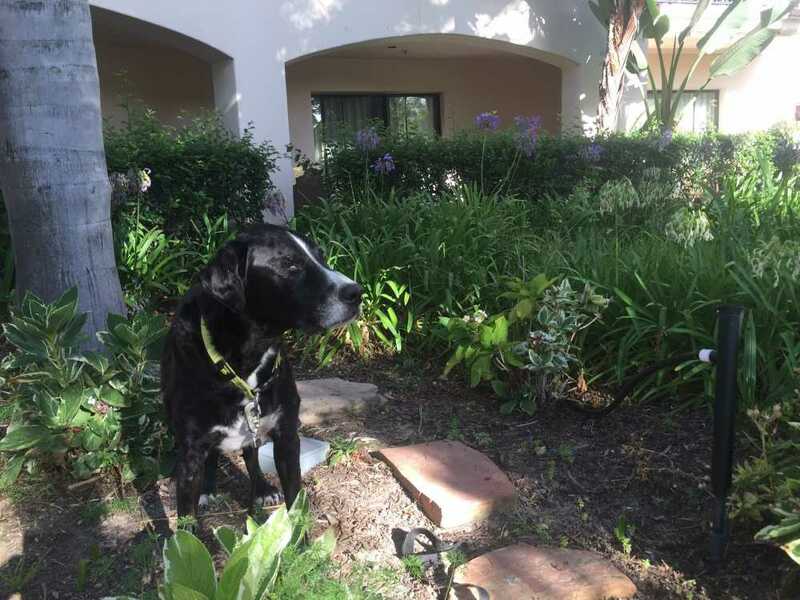 For my family’s weekend visit to Santa Barbara, we chose the Fess Parker Resort for its beach location and because we could bring along our 13-year-old Lab, Trooper. 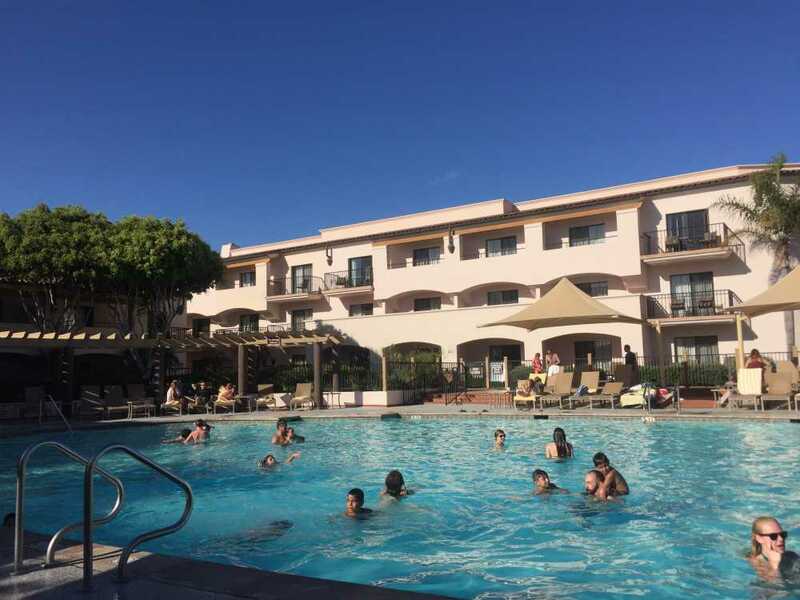 Read on for my hotel review of the Fess Parker Resort, what works and what doesn’t work for families. 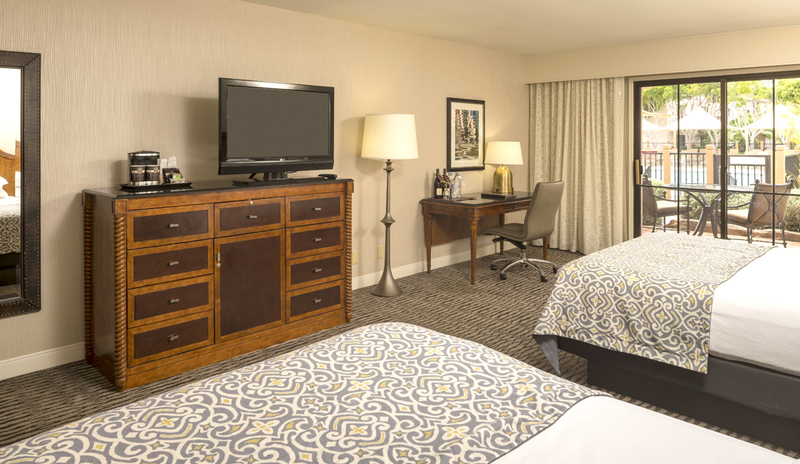 The rooms are spacious and comfortably accommodated our family of five plus Trooper (our 70-pound Lab). My son slept on a roll-away bed. All rooms have patios or balconies (with a table and chairs) and ocean, garden or mountain views. The resort is dog-friendly. Trooper was welcomed with a treat bag. Complimentary poop bags and acres of landscaped grounds make walking dogs a breeze. For families traveling with babies, no charge for cribs! The luxury resort has a laid-back vibe. Nothing pretentious about this lovely beach hotel. East Beach is right across the street! An Olympic-sized pool, tennis courts (with private and group lessons) and on-site bike rentals offer families activity options. There’s also a spa and fitness center. Five restaurants offer diverse dining choices. The Roundhouse has a children’s menu. In-room dining is also available. Free WiFi in the hotel lobby. Free transportation to Amtrak and the Santa Barbara Municipal Airport from 5 a.m. – 9 p.m. Valet parking, $26 per night; self-parking, $19 per night. There is a $40 non-refundable pet cleaning fee. The resort is dog-friendly but the beach across the street does not allow pets. They’re also not allowed in the hotel’s pool area (although that’s understandable). Rollaway beds are available for $35/night. WiFi in the rooms is not free unless an HHonors member. Fees vary: $12.95 per device up to 3 devices per day. There’s an upgraded high-speed internet option for streaming videos or higher bandwidth at $18.95 per device per day. The resort does not have a children’s program. Rooms do not have a refrigerator (just a minibar). Gardens and walkways at the Fess Parker Resort face the ocean. Photo Credit: Mimi Slawoff, Los Angeles TravelingMom. 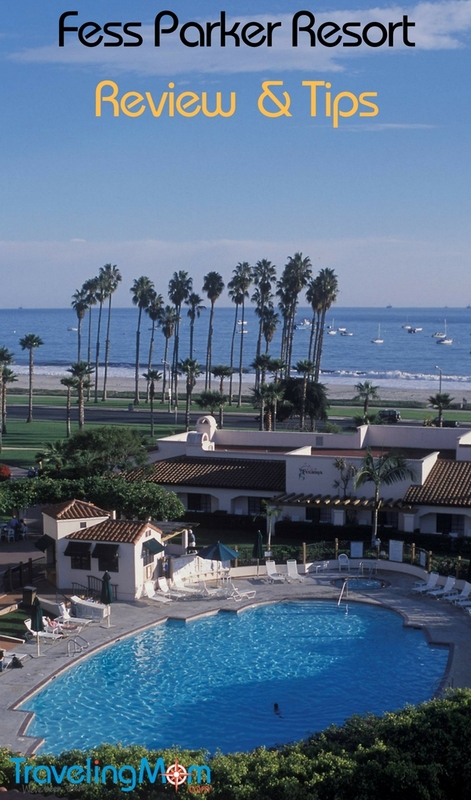 Once you’re in Santa Barbara it’s easy to find the Fess Parker Resort, which has a prime location across the street from East Beach and is near the Santa Barbara Zoo, Museum of Natural History and other family-friendly attractions. Onsite parking includes valet and self-parking. TravelingMom Tip: If you live in southern California, Amtrak is a great option for traveling to Santa Barbara, a pedestrian-friendly city. Room rates vary, starting at $200/night. Offers include the Family Discovery Package, DoubleTree Bed and Breakfast and Family Fun Package. Breakfast vouchers were included in our package during our visit in July 2016. The resort’s Olympic-sized pool is an oasis for families. Photo Credit: Mimi Slawoff, Los Angeles TravelingMom. The Spanish-style resort has several three-story guest buildings surrounding the large pool area, with meandering pathways throughout the property. We explored the property with Trooper, who happily trotted on landscaped pathways. Unfortunately, he wasn’t allowed inside the gated pool area, so we took turns walking Trooper or staying with him in the room. There’s also a Jacuzzi, poolside cafe, and on-site bike rental shop. During our stay, we noticed many international families. Lots of kids and dogs, so we felt right at home. Guests and staff were friendly. TravelingMom Tip: Leave your car parked at the hotel and use the Santa Barbara Trolley to get around town. The trolley makes stops at several popular attractions. The resort offers guest rooms and suites, each with patios or balconies, and garden, mountain or ocean views. Each room has WiFi, minibar and coffee maker. The accessible rooms offer additional space, special bathroom features, hearing devices and roll-in showers. The suites feature luxuries from separate living and dining areas to in-room whirlpools and designer amenities. Our standard guest room had two queen beds, a roll-away bed (upon our request), work desk and plenty of walking space. The bathroom was large and clean. We especially enjoyed the patio with table and chairs so we could eat outdoors. Trooper walked around sniffing the plants and flowers that surrounded the patio and provided privacy. TravelingMom Tip: If you’re traveling with kids and pets, consider requesting a ground floor room so you have a patio instead of a balcony. We really liked the hotel. Upscale but not formal or too large. It’s a short, pretty walk to the pool, lobby and restaurants, so if you forget to bring something it’s not a hassle to go back to the room. The pool area has plenty of lounge chairs (some in the shade, some in the sun) so finding vacant chairs wasn’t a problem. Swim towels are provided poolside by the snack shop. We were only there for a weekend, so we didn’t try all five restaurants. In fact, we only ate at the Roundhouse restaurant, with a great breakfast buffet, as well as indoor or outdoor seating options. While my husband and I liked the buffet, our kids felt the food options were a bit sparse. 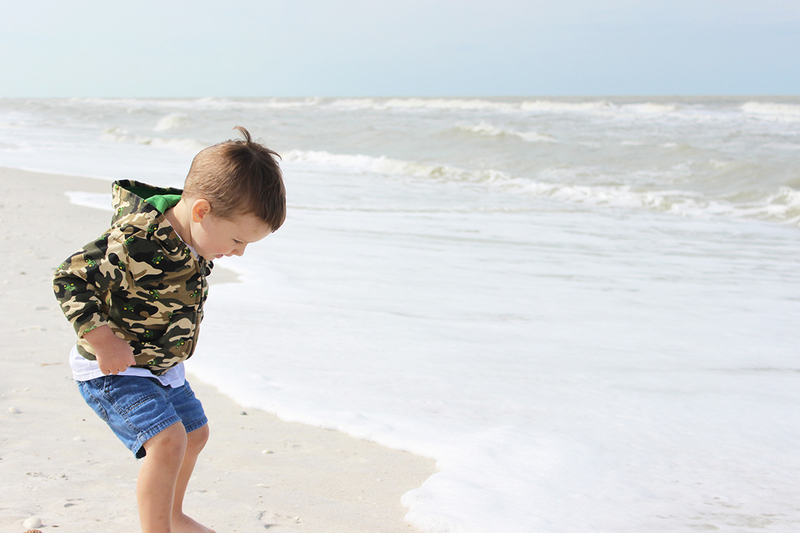 Overall, the resort is comfortable, has a great location and we enjoyed a family beach vacation with Trooper. With five onsite restaurants, there are good dining options. 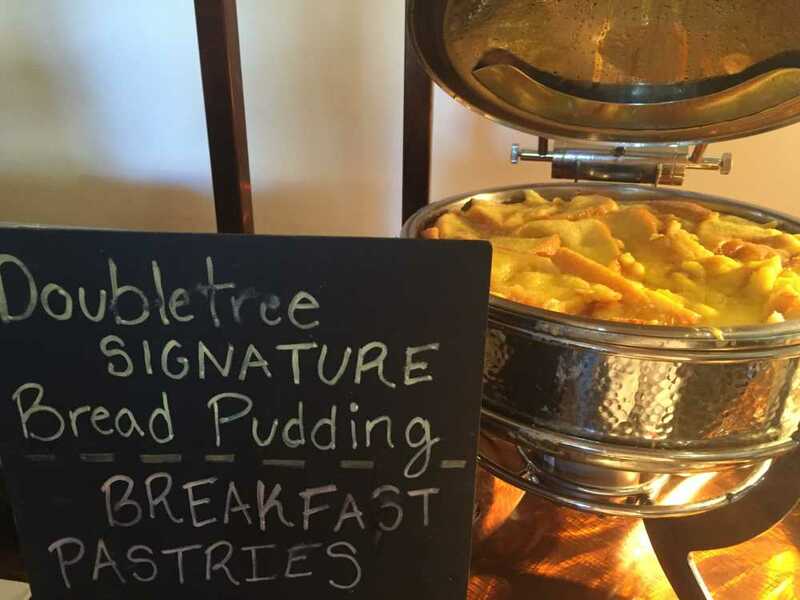 Located in the lobby, the Roundhouse is a casual restaurant serving breakfast and lunch. Open evenings, Rodney’s Grill specializes in steak and fresh seafood. The Set is a bistro-style cafe with happy hour, outdoor fire pits, and ocean views. On-the-go families will find sandwiches, snacks, breakfast items and Starbucks coffee at Java del Mar in the lobby. The poolside Terraza del Mar is ideal when your family is swimming and lounging and doesn’t feel like getting dressed for a restaurant. Read about Santa Barbara’s dog-friendly places. Forget driving, Santa Barbara is a pedestrian-friendly city.